SASTRA University Application Form 2019 has been released for admission to B.Tech/5-year Integrated M.Tech. programme for the academic session 2019-20. Candidates can fill their application online or download the application from the university website. 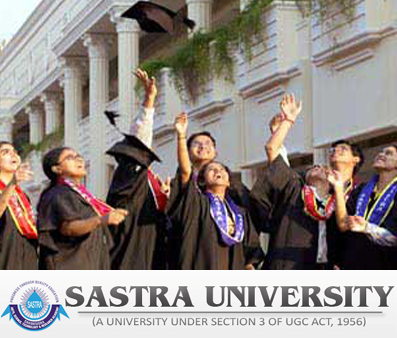 The application for the admission in SASTRA University is now available, for the eligible candidates. Before submitting the application form make sure that you have filled all the required details correctly and completely. The application form should be submitted with the required application fee. Get the complete information about SASTRA University Application Form 2019 from this article. Latest: SASTRA University Application Form 2019 has been released. Scroll down to apply. Interested candidates who will fill the application form must ensure their eligibility before filling the application form. Those who seek admission in the B.Tech Programme must fill their application on or before its last date. After that, no applications will be entertained by the university. Click here to apply for SASTRA University 2019. Click here to download application form of B.Optonm. Programme. Application Form for admission in B.Tech at SASTRA University is released for the academic year 2019-20 from April 12, 2019, at www.sastra.edu. Candidates need to apply online to fill the offline application form by visiting the official website. Application form can also be collected in person from the Office of Admissions at SASTRA Deemed University campus in Thanjavur or Kumbakonam. Applications fee is Rs.600/- Candidates must check the eligibility before filling the application form. Candidates have to submit the application form on or before its last date. Application Fee: Applications can be sent by post on receipt of DD for Rs.650/-favouring SASTRA payable at Thanjavur. DD must be sent to Office of Admissions, SASTRA Deemed University, Thanjavur – 613 401, Tamil Nadu. Online submission of application is also possible at www.sastra.edu. Admissions will be done by the Office of Admissions of SASTRA, either by following normalization for 30% of the seats or by JEE(MAIN) + normalized +2 for the remaining 70%. Do not fall prey to any unauthorized persons/agencies who claim proximity to SASTRA admissions office. Admissions are based only on merit and only tuition fees will have to be paid. No donations or capitation fee. Kindly bring it to the notice of the Office of Admissions if any unauthorized persons/agency approach you promising admissions. 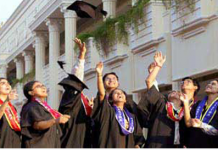 As per the Government norms, provision is made for NRI admissions. Interested students may kindly contact the Office of Admissions at 91 4362 264101-108, 304000-010 Extn: 102, 384 or Direct No. 91 4362 304102. Try after some time the server may be down. The last date is 14 June hai. can i edit applicant name?it was typo error while filling the application. you can edit the error when releasing the correction form.